ESB-led renewable energy project aims to generate electricity by 2018. An ESB-led wave energy project based in Co Clare has been awarded €23 million by the European Commission. The WestWave Project is the only Irish proposal to receive funding under the Commission’s NER 300 programme, which uses revenue from 300 million emission allowances sold in the EU Emissions Trading System to allocate its funding. WestWave is led by the ESB and involves a consortium of tech and wave energy developers. The ESB said today that it aims to start generating wave energy in 2018, with WestWave initially generating electricity equivalent to the amount consumed by homes in the Clare towns of Kilrush and Kilkee. A site for the project is being developed at Killard near Doonbeg, with construction expected to start in 2016. Ireland’s oceans have the potential to provide large quantities of indigenous, renewable energy and reduce our dependence on imported fossil fuels. Demonstration projects like ESB WestWave are critical if we are to realise the ultimate aim of progressing to larger commercial scale projects and a low carbon future. Minister for Communications, Energy and Natural Resources Pat Rabbitte also welcomed the funding for Ireland’s ocean energy development, adding that it is “critical that the sector moves ahead with device deployment”. “Ireland’s position at the Atlantic edge of the EU provides us with an almost unparalleled ocean energy resource,” the minister said. The Irish project is one of 19 awarded funding by the Commission today. Speaking about today’s funding awards, EU Climate Action Commissioner Connie Hedegaard said that these projects “will help protect the climate and make Europe less energy dependent”. 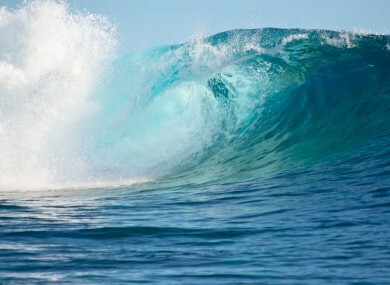 Email “Co Clare wave energy project awarded €23m to develop technology ”. Feedback on “Co Clare wave energy project awarded €23m to develop technology ”.